3rd Grade Bible Class—Coming in the fall, we will begin our 3rd Grade Bible Classes, which will take place during the Sunday School hour (9:30am-10:40am) in Room #22 of the Gathering Place. We will meet for five weeks, Sept. 23rd, Sept. 30th, Oct. 7th, 14th & 21st. 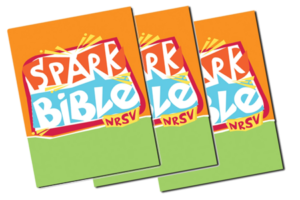 These five sessions will explore God’s word and focus on key verses in young readers’ Bibles. This will prepare families to commit to read a Bible verse nightly, as well as sharing Highs & Lows, prayer and a blessing. At least one parent/guardian and the child should attend. Childcare is available in the nursery. The class is open to any 3rd grader (or above) who hasn’t yet received a Bible from SLC. Children will be presented with their Bibles on Sunday, November 4th. Please indicate your interest in attending on the Ministry Card today.